Victoria is home to an array of lesser-known wildlife. AUSTRALIA'S "big five" native animals include the koala, kangaroo and wombat, but the country is home to a number of other animals which have eluded the spotlight so far. 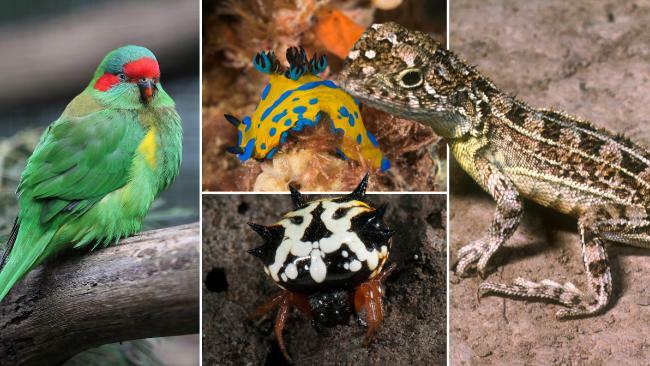 From the colourful underwater gardens of Port Phillip Bay to our diverse forests, Victoria's diverse range of fauna includes unusual marsupials, colourful sea slugs, odd insects and more. 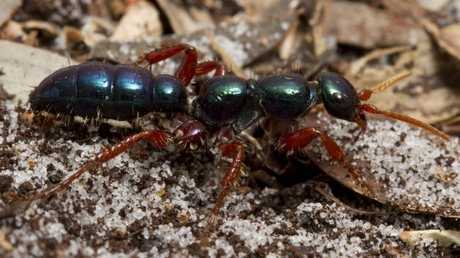 Parks Victoria chief conservation scientist Mark Norman says it isn't too difficult to spot one of the state's lesser-known fauna - if you know where to look. "Victoria's park and oceans are home to come of the most amazing, strange and unexpected creatures," he says. "Spending time in parks and quietly appreciating nature gives you the chance to see these animals, birds and ocean dwellers up close. "Research shows that spending time in nature is not only good fun, but also great for physical, mental and spiritual health too." These tiny "marsupial mice" may look like rodents, but are really not-so-distant cousins of the Tasmanian devil. 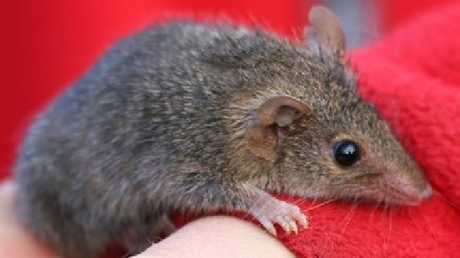 Victoria is home to four species of antechinus: dusky, yellow-footed, swamp and agile. 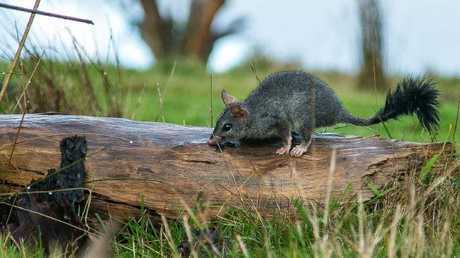 According to the Australian Museum, these native nocturnal mammals can be told apart from rats by their large, thin crinkly ears. Another defining feature is their hairy tails, which are the same length or shorter than their body. The little critters can be found eating insects, eggs and small vertebrates like lizards in forests, bush areas or farms, nesting in spherical nests during the day. Snake catcher Mark Pelley with a little whip snake he caught at Northern Hospital this year. Don't be lulled into a sense of security by this petite creature - the slender little whip snake only grows to an average length of 40cm, but is still one of Australia's infamous venomous snakes. With a distinctive black hourglass-shaped marking on its head, the reptile is named after its unusual whip-like movements. It can even be found around suburban Melbourne, including the city's north, northeast and northwest. 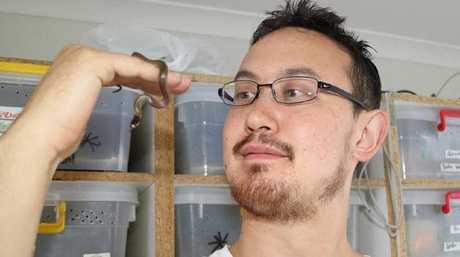 A Melbourne man died in 2007 at Mt Alexander, near Harcourt in regional western Victoria, after being bitten on the finger by a whip snake. These bizarre animals may resemble and be called spiders, but they're in reality pycnogonids - spiderlike marine invertebrates with long, slender legs. The active swimmers are found all around the world, including the waters of Victoria and come in bright colours including yellow, blue, purple and orange. 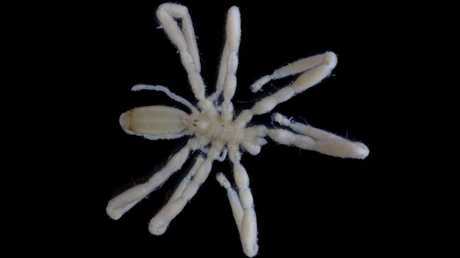 Like their terrestrial lookalikes, the sea spiders have eight eyes, eight legs and protruding jaws. With tiny leg spans of 3cm, you'll have to look hard to spot them in rockpools or clinging to algae. A riot of colour can be seen under Victoria's bays, with golf ball sponges adding splashes of pink, red and yellow to the seascape. 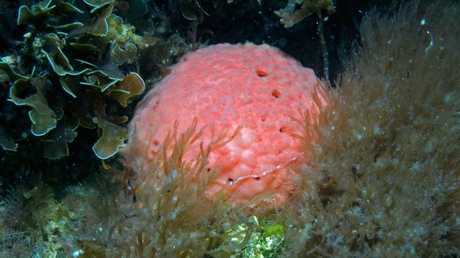 The knobbly animals - yes, sponges are living things - can be sighted by snorkellers and divers at reefs around Melbourne including Ricketts Point, off Beaumaris, and Point Cooke Marine Sanctuary. They reproduce by growing a stalk with a bud at the end, which then floats away to become a new sponge. Dubbed Australia's native equivalent of the northern hemisphere's squirrel, the nocturnal phascogale is a spider-eating marsupial which lives in tree hollows in our national parks. Measuring just 30cm, the diminutive bushy-tailed creature can jump up to 2m between trees - the equivalent of a human jumping 11m. But the phascogale's tiny size belies its sexual appetite, with the hormone-fuelled males dying of stress after their first breeding season. According to Parks Victoria, these shy animals can be seen at night in areas like the Bendigo, Hepburn and Ararat Hills regional parks in Victoria's west, along with Warrandyte State Park. Those who see this hovering bird may mistake it for a hummingbird as it buzzes around to feed on nectar from flowers. 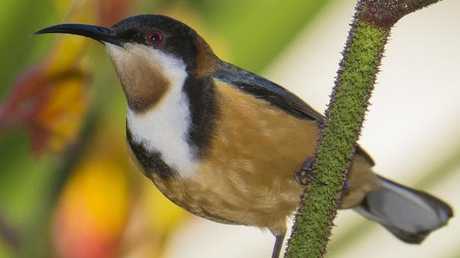 While most of its cousins in the honeyeater family feed from a perched position, the energetic eastern spinebill flits from flower to flower, pollinating plants as it goes. You can find this unique bird in heath, forest and woodland east of the Great Dividing Range, but it is also known to visit urban gardens, according to the Australian Museum. Nudibranchs are sea slugs, but not as you know them. Brightly hued and often sporting feathery appendages, they breathe with external gills on the outside of their body. Blairgowrie Marina is one such spot and well-known for the array of sea life around its pylons. 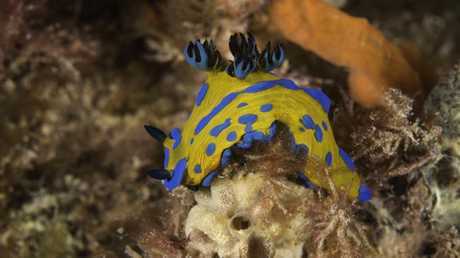 Keep an eye out for the large Verco's nudibranch, which has a striking pattern of bright blue stripes and spots on a mustard-yellow body and black-tipped gills. True to their name, these arachnids have a spiky appearance, with bright orange legs. They're most commonly seen by bushwalkers, who have a tendency to get tangled in their webs. 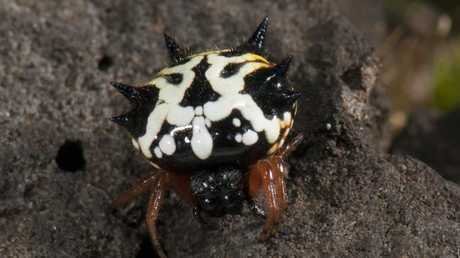 Each spider has six large spines, and most have white and yellow patterns on their body. While the spiny spider may look intriguing, don't touch it - their bites, while rare, can cause an unpleasant reaction. They may look adorable, but these tiny marsupials are skilled hunters which are also related to the Tasmanian devil. Nocturnal fat-tailed dunnarts are just the size of a rice grain when born, with adults hunting insects and other critters like crickets, beetles and worms. 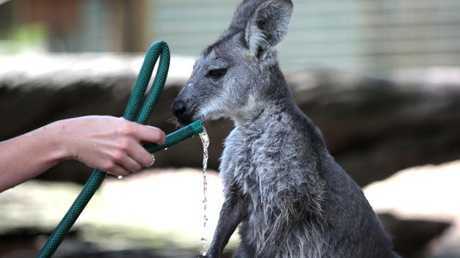 They are also known to eat small reptiles and rodents, according to Zoos Victoria. After a big feed, the animals store excess fat in their tail to help tide them over during winter. 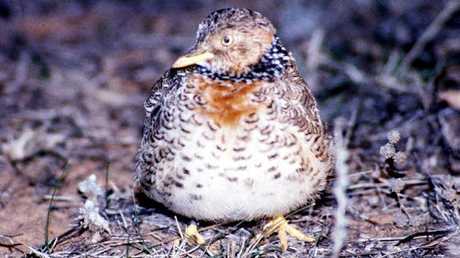 The plains-wanderer is one of our most endangered birds. One of Australia's most endangered birds, the enigmatic plains-wanderer can be found in the native grasslands of Victoria's northern plains. The rare quail-like bird measures 15 to 19cm tall and is one of a kind, with no close relatives, according to Zoos Victoria. Its love life is the opposite of most birds, with the females displaying a showy, colourful plumage, compared to the drab and dull males. After mating, the males are left to do most of the chick-rearing. With less than 1000 remaining in the wild, the birds' rapid decline was caused by predation and the destruction of its native habitats. Plains-wanderers prefer short, sparse grasslands where they can forage for leaves, seeds and insects - but will abandon their homes if the grass becomes too thick or sparse. Australia's only species of bee-eater is a splendid jewel-toned bird which occurs in a variety of habitats including open forests, woodlands, grasslands and wetlands. Living up to its name, the colourful bird mainly eats insects like bees and wasps, but will also hunt spiders, worms, and tadpoles. 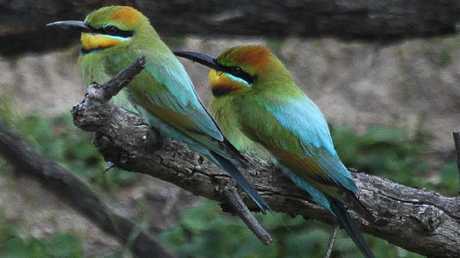 The bee-eater can be spotted beating or rubbing its prey against a perch to remove the stinger before devouring it. You won't spot any in Victoria this winter though, as they would have migrated north to the tropics of New Guinea during the cold season. This shark is abundant in the waters of southern Australia, but you've probably never seen it. Despite its name, there's no need to fear this harmless bottom-feeding fish, which is named for its distinctive mottled body. It's also known as a swellshark due to its tendency to bloat its body with air or water when threatened. 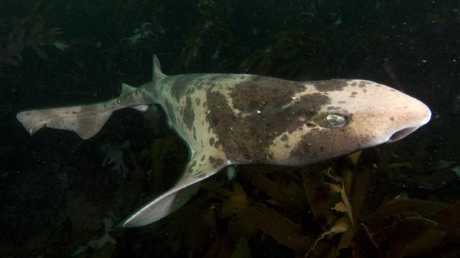 You can find the draughtboard shark among rocky reefs or seaweed beds off the Victorian coast. A tiny microbat. 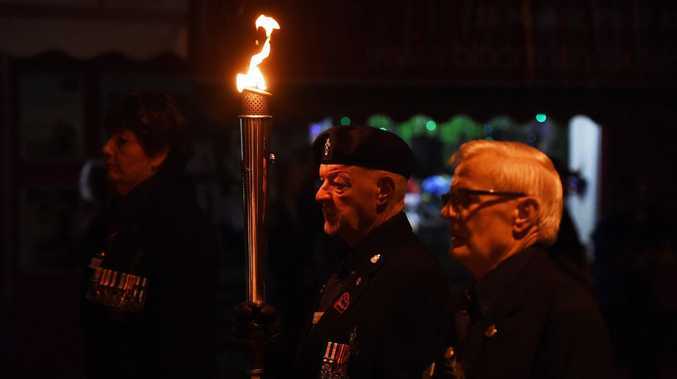 Picture: Rob Leeson. As their name implies, these bats are tiny - with the exception of their often disproportionately large ears. Victoria has multiple species of tiny bats, including the little forest bat and chocolate wattled bat, which use echolocation to navigate their way in the dark and hunt their insect prey. 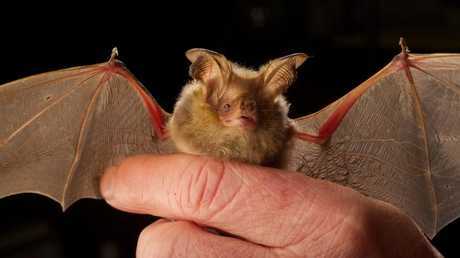 Little forest bats are the smallest species of bat in Australia and can fit inside a matchbox. During the warmer months, microbats go on a feeding frenzy to fatten up before hibernating in winter to save energy. While microbats often roost in tree hollows, under bark, or in caves, they can sometimes be spotted in residential walls and roofs. This elusive lizard measures just 15cm and sounds like a mythical creature straight from the pages of Fantastic Beasts and Where to Find Them. 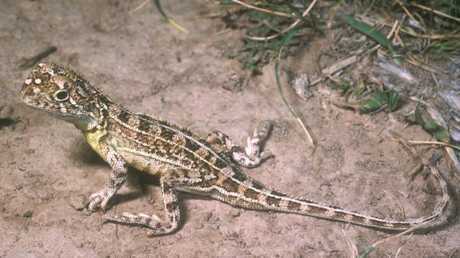 According to Zoos Victoria, the diminutive but energetic reptile can be found in Victoria's western plains but hasn't been spotted in the state since 1969. It can be identified by the three white stripes running down its body but its most striking feature is its lack of external ear openings, which most lizards have. If you think you've seen a dragon, notify Zoos Victoria's Dragon Search here. Like the sea spider, blue ant is a misnomer for an insect which is really a wasp. The iridescent red-legged females are wingless and have a painful sting, hunting for young mole crickets to paralyse with their venom. She lays an egg on the hapless insect, which then hatches into a larva that feeds on the live cricket. Male blue ants are far less ruthless, and instead visit flowers to feed on nectar. Wallaroos are larger than a wallaby, but smaller than a kangaroo. You've heard kangaroos and wallabies, but what about a wallaroo? 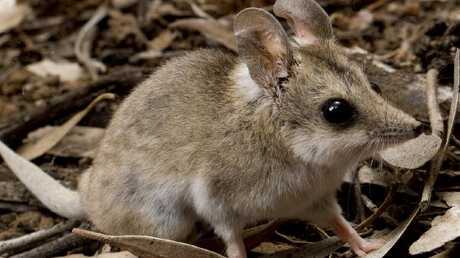 These button-nosed marsupials are larger than a wallaby, but smaller than a kangaroo, and are listed as endangered in Victoria. Males of this subspecies have dark fur, and the lighter-coloured females are of a lighter, almost sandy colour. With a bit of luck, these gentle creatures can be spotted in East Gippsland. 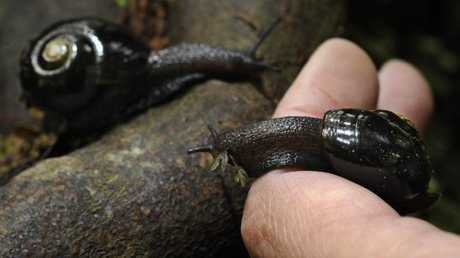 Parks Victoria ranger Jack Dinkgreve holds a carnivorous Otway Black Snail. Found only in a lush pocket of Victoria's southwest, this large snail's benign appearance shouldn't fool you. The rare carnivorous creature prowls leaf litter around trees in the cool temperate forest of the Otways, hunting larvae, worms, slugs and other snails. Partially nocturnal, it uses long and sharp backward-pointing teeth to eat its prey. You're most likely to see the Otway black snail after rainfall in cool, moist areas like Melba Gully and Maits Rest, which are both also home to a magical glow-worm colony. It can also be spotted near the myriad of waterfalls in the Otways. 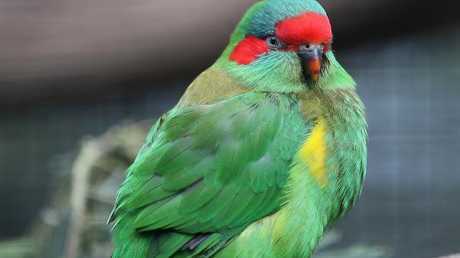 A musk lorikeet may look different to its rainbow relative, but is just as brightly coloured. Picture: Sam Rosewarne. Brightly hued rainbow lorikeets can commonly be seen - and heard - squawking in suburban Melbourne, but they're not the only lorys native to Victoria. Musk, little and purple-crowned lorikeets can also be spotted flitting in noisy flocks around Victoria, feeding on nectar and pollen from flowering trees. Splashed with colours like red, yellow and green, these native parrots have fuzzy brush-tipped tongues to help them gather nectar and fruits.